Apologies for the almost empty bottles photo, my beauty blogger ways aren’t the best ;). And once again I felt helpless when I looked myself in the mirror. My skin was like sandpaper and oil field at the same time and nothing seemed to help. It was like if I even touched it, it just broke to pieces or a massive pimple came to that very spot. All this happened and was my “normal” this past Spring when I had to start my epilepsy medication again after years of being in good enough condition to live without them. And with my skin, I mean mostly my face and neck. I had dryness in others areas of my body but nothing crazy that I wouldn’t have always at winter time. The thing is that I’ve been using natural, organic skincare for few years already but nothing, even the other Esse products helped. I tried so many different things and even had to use cortison creme on the worst spots to ease the irritation, which is my last resort as it’s not good for your skin on the long run. I contacted Minna Oey from The Natural Goods Company for help, and to my massive happiness she had answers to my helpless quest. Esse had just released their new range for super sensitive skin and I got to try it out. I was very hopeful! The thing with my skin is that it can be really good for weeks and then without no reason breakout really badly to a rash or other irritation and nothing seems to help. I try to have balanced veggie based diet and drink enough water and eat good oil to balance it, but sometimes it’s just mayhem and nothing seems to help. 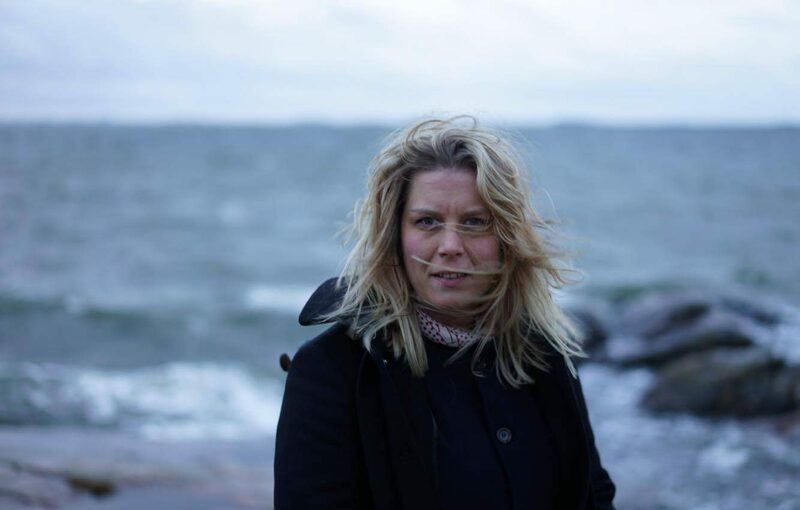 But now it had been longer than just a little bit, the medication had completely messed my whole body, in and out and I didn’t know what to do. The sensitive range has three products that you use, nothing else and the important thing is to only use them and not mix anything else there to confuse the skin anymore. 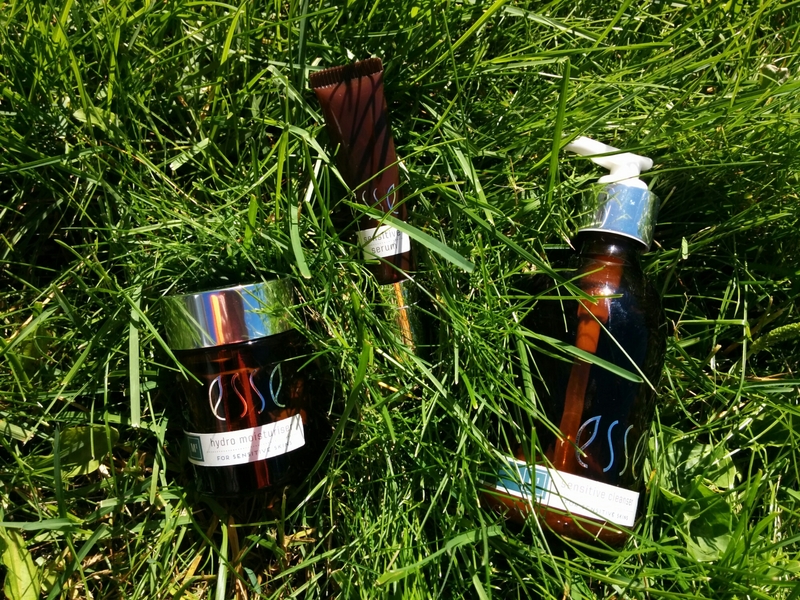 Esse is a special skincare company as it uses probiotics in their products. We humans have been using probiotics in foods for long time now to help our insides but to use them on us, to benefit our skin is rather new discovery. We have microbes living in and out of us, traditional skincare these days tends to wash them all out and your skin is always a bit confused as what to do as there’s nothing real to do what it needs to do. If we try to delete all the microbes in our lives, our wellbeing will suffer as we need them to keep us balanced. Esse uses prebiotics to feed the good microbes and with probiotics helps change the skins microbial balance to help it be more balanced. And this is exactly what the Sensitive range is doing. As your sensitive skin is reactive to whatever, it needs a little boost to a better direction to be able to take what the world has these days. My new routine was pretty simple but as I noticed would take some time to get my skin to used to. First I needed to use Sensitive Cleanser to wash my face. It’s nice milk like cleanser with very subtle scent. It cleanses make up very well and really leaves your skin feeling clean but not like everything has been stripped away, something I felt with a lot of different cleansers before even the milky ones. The thing was not to leave it too long on your skin, just to massage it gently and wash away. And then leave the skin a bit moist, not dry all the moisture away. Even best if not at all. Second step was to add in the beginning, as to get my skin more balanced, a drop of Sensitive Serum to my still moist skin. This magic potion of a serum is truly a miracle worker, it’s filled with more than one billion live Lactobacillus microbes per millilitre. They activate as soon as they come in contact with water and skin, hence the moist skin. Also you need less of the serum to apply when the skin is moist. First I used this both morning and night to ease the irritation, but with time only at night. The scent on this is really nice, somehow warm but not too strong in any way. And even with that tiny bottle, it lasts very long. Third step was the moisturiser, in my case and as my skin was so dry and sensitive but still oily and kind of mixed, Hydro Moisturiser. It’s a moisturiser that finalizes the routine and really works. And you need the smallest amount of it to cover your whole face and neck. A thing I absolutely love with all the Esse products I’ve ever tried. This moisturiser is best to add to a little moist skin, as it blends better and you need less. It uses prebiotics and probiotics extracts in very sensitive formula to balance and favor the microbes on the skin. Again, the scent of this products is really nice, nothing extra, obviously as it’s a sensitive range all the products are really thought through to fit the irritated reactive skin. My first try was that Hello, my skin is in heaven. But after couple of weeks, my skin started drying up a lot, like it was shedding some old skin that needed to make room for the new healthier one. I also forgot at times to not dry my skin after I washed it and that was part of the situation. It’s so in us to really rub our faces after we wash them. But after those first weeks, I could really start feeling the change for the better in my skin. It looked more balanced, less breakouts and dryness, also more even color of the skin. I’ve used those products ever since and they have really been the saving ones for my skin. Balancing it to a level that I never thought could be possible, life savers! And even when I was travelling, and usually my skin reacts to different waters really easily, nothing. Again, life savers! Last but not least, I had a wrist operation start of the summer and had to use pretty heavy drugs in the beginning and they really dried my skin but still I felt that it was more balanced with these products than what it would’ve been without. And now, after a very long time, they are done and the bottles are empty, so you really need very little to get the benefits. All in all, the best products that I’ve ever used on my skin. Nothing bad to say, only LOVE! In Finland you can find these from The Natural Goods webstore or check Esse website for your own country.